A critical component to the successful DAS installation is the adjustment and refinement which takes place during commissioning. The fine tuning does not end with the master unit either —in fact, that’s just the beginning. We listened to our customers and industry experts and built a solution that removes many of the pitfalls associated with the distributed elements of a DAS: cabling and radio heads. Often overlooked, the ease of installation, accessibility, and concealment of conduit and RUs are critical factors in successful commissioning and ongoing operation and adjustment. With JMA Wireless’ FUZE™, we’ve removed the fragmented appearance of yesterday’s DAS and replaced it with an elegant, concealed, easy-access product. 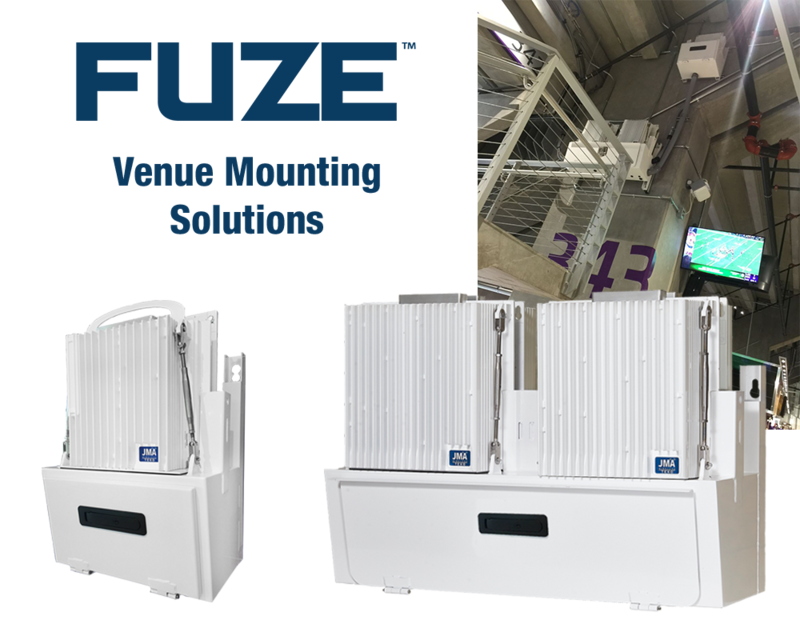 The common-sense, durable FUZE™ mount kit includes both 2RU and 4RU options to house the IP66-rated JMA Wireless TEKO™ DAS Remote Units and Public Safety RUs.